As the WiMAX industry has grown, so has WiMAX hype and confusion. Mobility managers and decision makers have to sort through the hype to facilitate their knowledge and understanding of WiMAX technology. SearchMobileComputing.com asked Paul DeBeasi, senior analyst at the Burton Group, to set the stage for a broad overview of what WiMAX is and how it works. DeBeasi's begins this tutorial by introducing WiMAX technology, applications and terminology. Further sections discuss WiMAX services, performance, security and devices. sort through the hype to facilitate their knowledge and understanding of WiMAX technology. Paul DeBeasi, senior analyst at the Burton Group, sets the stage for a broad overview of what WiMAX is and how it works. DeBeasi begins this tutorial by introducing WiMAX technology, applications and terminology. Further sections discuss WiMAX services, performance, security and devices. As we can see from this section, terminology is important. Therefore, throughout the rest of this WiMAX tutorial series, we will use the following terminology to ensure clarity. In the next section we discuss which services will be offered, who will offer them, and when they will be generally available. Mobile WiMAX is a new business opportunity for established mobile operators, Internet companies and wireline operators to provide high-speed mobile broadband data services. But where and when will WiMAX service be available? Where in the world is WiMAX? WiMAX services are in the early stages of deployment throughout the world. In South Korea, a subset of WiMAX called WiBRO has been deployed throughout roughly 25% of the country. But as of the end of 2007, only 100,000 subscribers, out of a population of roughly 50 million people, had signed up for service. The mobile Taiwan project, referred to as M-Taiwan, is an ambitious plan to deploy WiMAX throughout all of Taiwan. The Taiwanese government awarded WiMAX frequency spectrum licenses in July 2007, but service is not yet available. Sprint intends to launch its mobile WiMAX service, called Xohm, in 2008 (the company recently announced that the launch would be delayed until later in the year). The service promises to offer download speeds of 2 Mbps to 4 Mbps and upload speeds of 1 Mbps to 3 Mbps. But the service is not just about fast Internet access on the go. Sprint intends to make it very easy to sign up for the service. Subscribers will be able to sign up by the day or by the month, without binding contracts or cancellation fees. Sprint will also allow you to buy any WiMAX-enabled product -- unlike most mobile operators, which limit your selection of mobile devices and lock the mobile device to the operator's network. Sprint also hints at future services such as online storage, location-based services and Google Mail. All of this sounds great, but can they do it? In February, Sprint reported that it lost $29.5 billion and 683,000 customers. These are shocking numbers, especially since Sprint's main competitors are adding 2 million to 3 million new subscribers every quarter and are profitable. Deploying a nationwide Xohm service will take many billions of dollars over many years. The fundamental question is: Can Sprint reverse its financial performance in the short term so that it can invest in Xohm in the long term? Clearwire launched its portable wireless Internet service in August 2004, originally designed using pre-standard WiMAX technology. The service is now available in 16 states across the United States as well as in Europe, using standard WiMAX technology. The company offers a nomadic WiMAX service that competes with cable and DSL Internet service and requires the use of a WiMAX modem. The modem is similar to a cable modem except that the WiMAX modem can be moved to any location that receives a Clearwire WiMAX signal and has access to power. The subscriber pays a monthly fee for Internet access and optionally for phone service. In July 2007, Clearwire and Sprint announced that they would jointly construct their WiMAX networks and eventually sell the services under one brand. By November, though, the deal had been canceled. But this eventually led to a new joint venture in May 2008. Unfortunately, Clearwire is also having financial difficulties. Although they grew revenue and their subscriber base in 2007, their losses also grew from $63 million to $83 million. Just like Sprint, they must reverse their financial performance in order to make expensive WiMAX network investments over the long term. Most forecasts for mobile WiMAX show rapid growth. For example, Senza Fili Consulting predicts that mobile WiMAX will grow to approximately 25 million subscribers by 2012 (see Figure 1). Although these growth numbers are quite good for a new technology, they have a long way to go to catch up to the 3 billion subscribers currently using mobile cellular service. The current mobile cellular operators are in a dominant position to capture most of the demand for mobile broadband and will compete strongly with WiMAX operators. Unlike fixed broadband service, which can be cost-effectively deployed in a limited geographic area, mobile broadband service will require a costly investment over a wide area in order to provide sufficient coverage for roaming mobile users. Mobile broadband also requires that the operator own wireless spectrum throughout the coverage area. Lastly, it requires extensive operational experience with wireless technology in order to deploy, maintain and evolve a sprawling mobile network. Aside from the mobile cellular operators, few companies can satisfy the requirements of mobile broadband for capital, spectrum and wireless experience. And in the U.S., Sprint and Clearwire are hardly in a strong financial position. WiMAX service is available in a few select locations and will provide high-speed broadband Internet access. Don't believe all of the WiMAX hype, however. It will take many years and many billions of dollars to deploy a nationwide WiMAX network. Data service plans from traditional mobile operators will offer the best combination of high-speed data access and broad coverage. Next, we look at WiMAX performance. We will discuss which performance factors are important, what performance you should expect, and how WiMAX compares with 3G and future 4G services. Sprint and Clearwire formed a $14.5 billion joint venture in May 2008 that will focus entirely on mobile WiMAX. The joint venture will be called Clearwire and includes investment from Google, Intel, Comcast, Time Warner, and Bright House Networks. According to the joint venture announcement, the new Clearwire expects to dramatically enhance the speed at which customers access the Internet. What does it mean to "dramatically enhance the speed of Internet access"? First, we must define what we mean by "performance." Performance includes many factors. Two of the most visible metrics, from a user's point of view, are download speed in megabits per second (Mbps) and upload speed in Mbps. Download speed has traditionally been the metric that most users care about because it affects the user's Web-browsing experience, but the emergence of peer-to-peer networking and the growing need to upload user-generated content such as videos and pictures is creating the need for faster upload speeds. Channel bandwidth: Most mobile cellular systems are designed to operate with varying degrees of bandwidth. For example, a 10-megahertz (MHz)-wide channel provides twice as much bandwidth as a 5-MHz-wide channel. As channel bandwidth increases, the system can transmit more bits per second over the channel. Backhaul capacity: Many base stations do not have sufficient transmission capacity to transfer received wireless traffic into the core of the network, thus restricting individual user performance levels. Multiple input, multiple output (MIMO) antenna configuration: MIMO radio systems take advantage of multipath interference by transmitting unique data streams over the different paths. A 2 x 2 MIMO configuration, for example, uses two transmit antennas and can take advantage of two unique paths. The greater the number of antennas, the more bits per second the system can potentially transmit over the channel. Path loss: Path loss reduces the received signal and gets worse as the mobile device moves away from the base station. Weather conditions such as rain, snow and fog can also increase path loss. Shadowing: Shadowing occurs when obstructions such as buildings and trees block the path of the wireless signal. Network load: Wireless is a shared medium, so per-user performance in an individual base station sector will decrease as the number of users increases (cellular networks make use of sector antennas in order to improve frequency reuse). Mobility speed: The faster the mobile device moves, the more difficult it is to maintain communication. Network operators deploy mobile technologies using varying amounts of channel bandwidth. In order to describe performance in a bandwidth-neutral way, throughput (Mbps) is typically divided by the channel bandwidth (MHz). The resulting quantity provides the number of bits per second transmitted per cycle (b/s/Hz). Figure 3 shows the peak and average sector throughput for WiMAX. Note that the average download speed is approximately 30 Mbps using a 20 MHz channel (similar to IEEE 802.11g average throughput). This means that there is approximately 30 Mbps of shared bandwidth available for download transmission per sector. For example, if there are 20 users connected to the network using the same sector, and if half of the users are downloading data at the same time, then each user will receive approximately 3 Mbps average download throughput. Note that WiMAX has sophisticated quality-of-service mechanisms that will help network operators equitably regulate per-user performance. Over time, average performance will improve as the WiMAX network evolves. In addition, other technologies, such as high-speed packet access (HSPA), evolution-data optimized (EV-DO), and long-term evolution (LTE), will compete with mobile WiMAX to offer high-speed Internet access. Clearwire promises to dramatically enhance the speed of Internet access with its new mobile WiMAX service. Although many factors can affect performance, the service is expected to provide average download speeds of several megabits per second. Other technologies, such as HSPA, EV-DO, and LTE, will also compete with Mobile WiMAX. Next we look at mobile WiMAX security. How safe is mobile WiMAX? More specifically, how does the technology provide authentication, data privacy and data integrity? Next we look at mobile WiMAX devices. What type of devices will support WiMAX, and how pervasively will WiMAX be embedded into mobile devices? WiMAX proponents often describe WiMAX and Wi-Fi as complementary, not competitive, technologies. They state that the incremental cost to add WiMAX to Wi-Fi devices will be low and that the WiMAX attach rate in mobile computing devices will be high. The implication is that WiMAX devices will be widely available, just like Wi-Fi devices. If this is so, where are all the WiMAX devices? Widespread availability of WiMAX devices will be slow to develop. Telecom consultancy Maravedis expects 25 million consumer electronic WiMAX units to be shipped in 2012. But this is far less than the 1.13 billion handsets, or the 300 million Wi-Fi chipsets, shipped in 2007. The reason for the relatively slow growth of WiMAX units is the lack of widespread WiMAX service. Some device vendors will attempt to grab early market share and establish brand recognition by offering WiMAX devices in advance of widespread services, but customers will not purchase WiMAX devices if the service is not generally available in their region. In contrast, Wi-Fi technology does not depend upon the availability of Wi-Fi services. Users can take advantage of Wi-Fi devices on enterprise networks, in their homes, or at hotspots. WiMAX will also be designed into data-oriented devices such as laptops, tablets and ultra-mobile personal computers (UMPC). 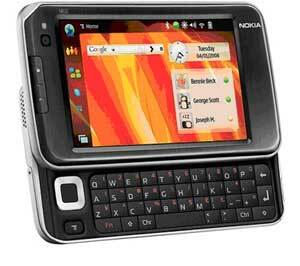 For example, Nokia introduced the N810 Internet Tablet that supports mobile WiMAX and Wi-Fi. The device has a WiMAX usage battery life of three hours and is estimated to cost approximately $450. Battery life will improve over time. Ultimately, higher device shipment volume will drive down the per-unit price. A more likely scenario in the near term is the use of external WiMAX devices. These include PC/Mac cards and universal serial bus (USB) devices. 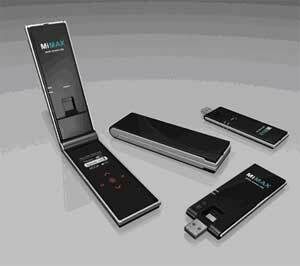 A mobile WiMAX USB device will work with existing PCs and Macs and can be passed from one user to another. For example, Airspan Networks introduced a mobile WiMAX USB device that will enable connectivity to any global WiMAX network. The device supports the common mobile WiMAX bands -- 2.3 GHz, 2.5 GHz, 3.3 to 3.7 GHz, and even 4.9 to 5.4 GHz -- so it can be used on WiMAX networks around the world. The primary driver for WiMAX devices will be the availability of mobile WiMAX service, but such services will be slow to develop. Therefore, WiMAX devices are not likely to achieve the same volume and cost characteristics as Wi-Fi devices. Some device vendors will attempt to grab early market share and establish brand recognition by offering integrated WiMAX products, such as ultra-mobile PCs, in advance of widespread services. A more likely scenario, however, is the availability of external WiMAX products, such as USB devices.